Are Long-Range Guide Bookings a Thing of the Past? Have you noticed a discernible dip in advance bookings (more than a month out) in the past few years? I definitely have, but my overall volume has been the same or better. I definitely have, and I think my overall revenue has suffered. I think it’s about the same as it always has been. I’m actually seeing more long-range bookings and fewer spur-of-the-moment bookings. Undecided/ haven’t really thought about it much. Thanks for asking this question to the industry. 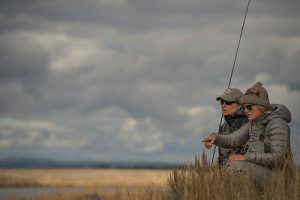 We try to keep a close tab on this at Fisher Guiding, as we see it happening from all ages of anglers traveling to fish, though both long and short-range bookings are something we strive to make easier for both sides. The accessibility of travel and flexible airfare definitely seem to be big contributors. Often, good weather or seeing trip photos that someone else has posted seems to be enough to make an angler want to get out within a week or the month.